Basil and Diana immigrated to Canada from Argentina in 1983 to escape the economic downturn after the Falklands War. After years of working on a large cattle farm, order the Gillyatts sold everything they owned and joined Basil’s brother in the chicken farming business. 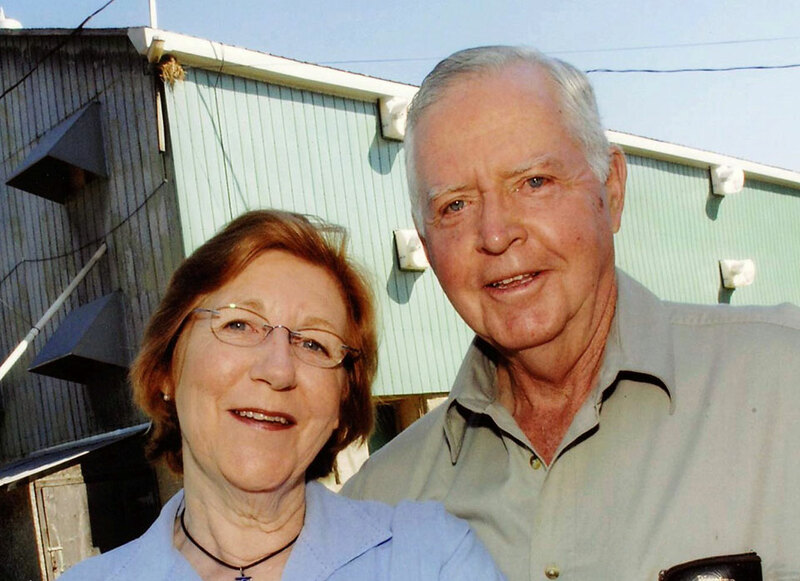 Thirty years later, search they are still farming chicken on the Gillyatt family farm in South Western Ontario and have added two more farms to their operation. With growing personal and consumer concern over the harmful impacts of animal agriculture, ambulance the Gillyatts decided to expand their focus on animal welfare and sustainable farming practices. They solidified their commitment to conscientious farming when they joined the Rowe Farms team in 2003. “We have always admired the Rowe Farms philosophy,” says Basil, “and are happy to be part of their progressive team”. Today the Gillyatts are Rowe Farms’ leading provider of antibiotic-free chicken raised in humane and low stress environments. With animal welfare as priority, the Gillyatts’ chickens have free space to roam in large barns and unrestricted access to feed and water. Careful consideration is given to lighting and air quality to simulate a natural environment and ensure the chicken’s comfort.